Here's Negan! Archives - Horror News Network - The Horror News You Need! Tag Archive for: Here’s Negan! 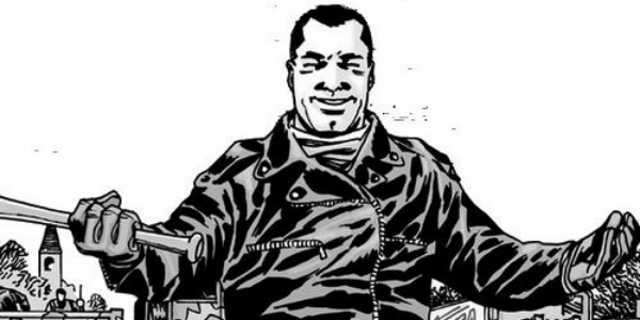 You are here: Home / Here's Negan! Just in case you don’t have enough Negan in your life, Image Comics will release a hardcover collection entitled The Walking Dead: Here’s Negan! featuring the titular villain’s origin this October. The graphic novel by Robert Kirkman and Charlie Adlard collects the original serialized Negan origin which initially ran as a bonus feature in Image+ (a Previews supplement featuring upcoming releases from the independent comic company).